It is a strange thing to realize that no matter how much you are willing to pay, there will always be a better guitar out there. This bothers me a lot because I want every one guitar I ever speak of to be the best guitar. So when I spend several days freaking out about this new instrument I found that is exceptional in every way and then one of my friends shoots me an email or message about a guitar that is much better, I get a little frustrated. Thankfully the prevalence of this problem becomes less immediate in the range of mid to high end. Which is why I am so excited to be talking about the 10 best acoustic guitars under 2000 – all of these guitars carry the weight of being incredibly good. In this range really, the sky’s the limit, and by the sky I mean the number 2000 and by the limit I mean beyond that we’re entering the range of “the best acoustic guitars ever”. Fair warning: you will find me freaking out about those, because what man doesn’t freak out when he exits the stratosphere? Anyway, the problem of owning the best guitar shouldn’t bother you as much as it does me. You are not someone who reviews guitars, you are someone who plays them and if you really think about it, for each musician the “best” guitar, or instrument in general, is a highly subjective idea. 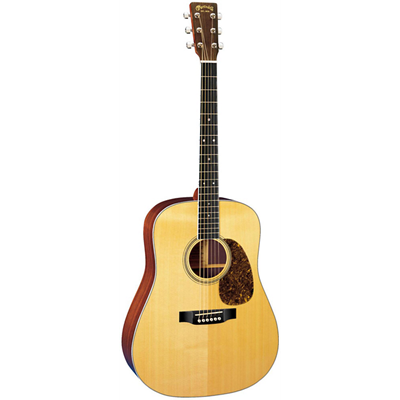 The D-15 Martin is a beautiful guitar that lies on the affordable spectrum of the 2000s list. Affordable not in the sense that it won’t cost you a month’s rent, but affordable compared to the others. The thing is, despite its affordability, the guitar is one of the best guitars you will ever get to play. The solid mahogany body creates a full body resonance, meaning both you and the guitar will feel the sound go through you. It produces a deep warm sound with beautiful bass response and clear cut sound no matter how fast you are playing. This guitar is for those players who seek to take notes from the deepest parts of their soul and below them across their audience, driving home the deep, strong emotion. It’s full body response to the bass makes the guitar a perfect support for high vocals, but do not be afraid to go high on the guitar, as the high and mid range tones are exceptional as well. Garth Brooks is a big name in the United States. So making a guitar that bears his name means a lot of responsibility. 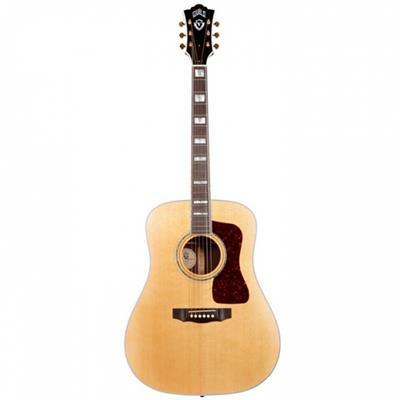 This is easy for Takamine as showcased by their Pro Series GB7C Garth Brooks guitar. The solid cedar top of the guitar creates a beautiful resonance, emphasizing the bright sounds of the mid and high tones. The guitar produces an incredible, bright sound that remains precise and sustain free no matter how fast or hard you play. The guitar, because of its unique sound-hole, looks as unique as Garth Brooks’s music combining rock and roll with country does. It is incredibly easy to produce the country sound that so many people pursue for so long, thanks to this guitar being made in mind with a country sound. The perfect mid range priced guitar for your high end musical needs, such as the ones Garth brooks would approve of. 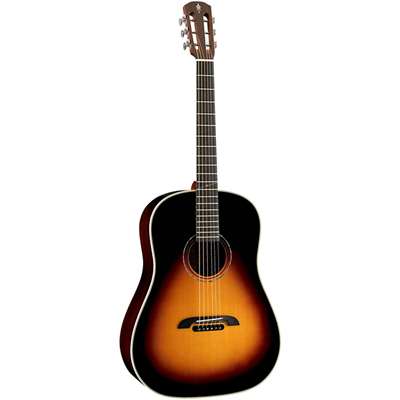 The Blueridge BR-361 Historic Series Parlor Guitar is called historic because of its vintage look, is what they say. I say the creators got cocky and called it historic because they thought this guitar would make a historic landmark in the world of music instruments. If that is the reason, they were not wrong. This guitar features a solid spruce top with choice tonewood back side, meaning that the guitar is incredibly expressive in its sound. The low, deep bass tones, the mid-range tones and the high tones all find equal footing in the voice of guitar. Louder, faster or more specific, it doesn’t mind what kind of music you play, all sound will remain distinctive, pleasant to the ear and a pleasure to behold thanks to its beautiful design. The slightly smaller size of the guitar means that the guitar is lightweight and incredibly comfortable to play. 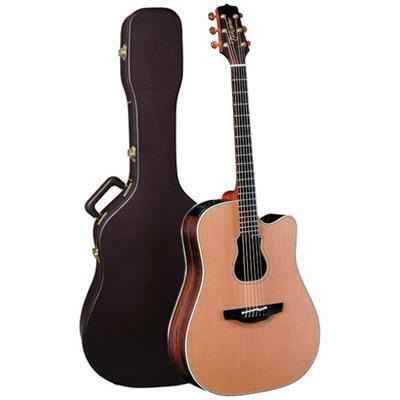 So grab boots and get ready to enjoy some beautiful sound on this relatively affordable acoustic guitar. There are many dreadnoughts in the world, but not all of them sound as clear when played at their loudest as the Martin D-16RGT Dreadnought does. Thanks to its Sitka Spruce top combined with the rare East Indian rosewood back and sides, this guitar will sound clear and vibrant no matter how hard you challenge it. The guitar looks polished and glossy, just like the sound it produces sounds polished and glossy. This is a treat of an instrument, worthy of the best musicians and highest of kings. 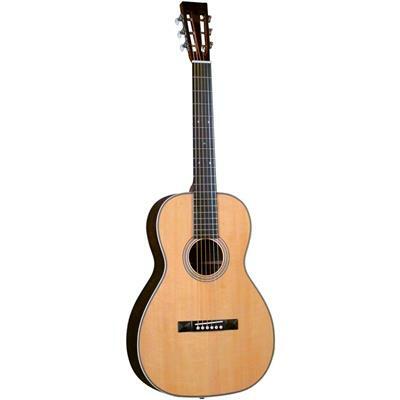 Veritably friendly both in sound and make, thanks to the use of sustainable wood use, this guitar delivers on the promise of being the force of good in the life of any musician. The guitar is as much a challenge to you as you are to it, driving you to play better with every note, making you only think how much this guitar is able to take before becoming burdened by unasked for sustain. Seemingly, as much as you can give. Masterworks, as implied by the name, require a lot of time and skill to be made right. When finished they become masterpieces and masterworks that sound and look just like your wildest dreams dare to imagine. The Alvarez DYMR70 Yairi Masterworks series guitars is one such piece of incredible equipment. It is not just a masterpiece, but it is the embodiment of ambition in creation and sound. The Solid Sitka Spruce top combined with the exceptional East Indian Rosewood back and sides produce a bright, balanced sound that travels up and down the range of tones without regard for filth, sustain or trouble. This exceptional guitar is the perfect addition to any musician’s collection, but is especially valuable in the hands of a master. Bringing out the full potential of a masterwork takes a lot of work, but even with minor effort this guitar sounds better than anything you’ve ever held before. 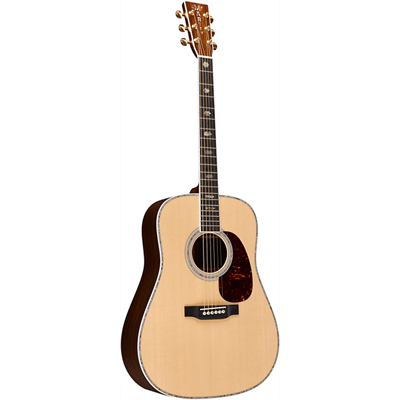 Inspired by the Gibson’s J200, the Blueridge BG-2500 Historic Series jumbo guitar is huge. It is huge, first and foremost, because of its physical size. It is huge because thanks to its size, the sound it produces is much more powerful than your average sized guitar. It is huge because of its size allows the guitar to produce a much deeper, richer bass response. Finally, it is huge, because it is such an important addition to the guitar world. It has a stand out sound, something you don’t hear much when looking at other guitars. It is vibrant in its high tones thanks to its solid Sitka Spruce top and solid flamed maple back and sides, and it is deep, almost contemplative in its seemingly endless potential for the low tones. This guitar stands out in every way, demanding attention no matter where it goes or where it is played. Indeed worthy of being part of the historic series. Somewhere in the afterlife Mr. Christian Frederick Martin walks proudly among his peers, knowing that his company has made one of the best high end acoustic guitars that will ever grace the market. The beautiful and impressive D-41 Martin Dreadnought, the golden dragon among acoustic guitars, stands as one of the best ever made. The price tag reflects that, but don’t let it scare you, this beast can sound both quiet and loving, as well as loud and demanding, repaying your every cent and more with every note played. A solid spruce top with a radiant rosewood side and back produce a resonant sound that sticks to the ear and the heart easier than the blame to the devil. The Rosette and Ebony fretboard is inlaid with brilliant Abalone, making it positively scrumptious to look at. This guitar will stretch the strings of any person’s heart tighter than the strings stretched across the guitar itself, letting you play them louder and clearer than the first lover’s longing sigh ever did. The Taylor 810ce Rosewood guitar is an electric acoustic guitar, but this list is contemplating it as an acoustic guitar, so let’s forget about the electric for a second. This is an outstanding instrument in the world of high end guitars. 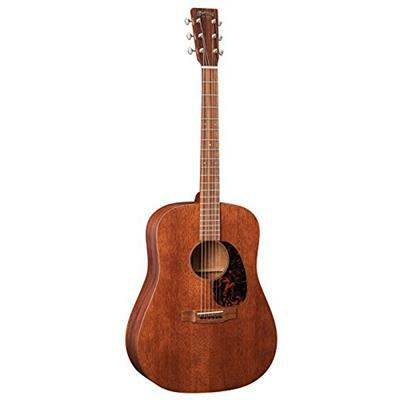 It has a rich, vibrant tone, both thanks to its rosewood build and the unique bracing system used in its construction. The volume limit on this guitar seem to be “as loud as you want” without the danger of sacrificing the vibrancy and precision of the tones. No matter where you go, this guitar will attract the ears of the surrounding crowd, and as soon as they look your way, the handsomeness of guitar combined with your good looks (because, let’s admit it, you look good) will captivate their attention for as long as you are willing to keep strumming. 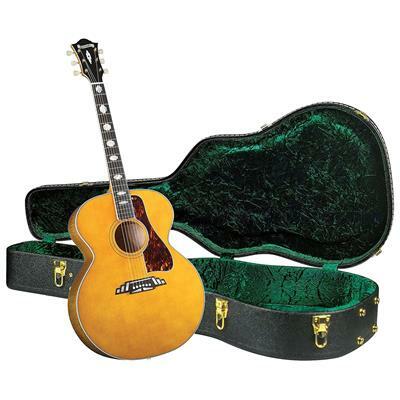 Since its first introduction in 1968, the Guild Traditional Series D-55 guitar has been one of the most impressive acoustic guitars ever produced. The reason it has remained so in the past fifty years is its musical versatility and superior sound. The guitar has a very rich, balanced sound with easily accessible tones well suited for any genre of music. The guild scalloped red spruce of the guitar combined with the solid rosewood back and sides allow for the flexibility and balance in tone. This model is as much part of the history of American music as are the numerous performers who included it in their music. It is a legacy in acquiring which you vow to put your best effort into playing it right. So enjoy! A lot of the time people have trouble understanding what the difference between an expensive and relatively affordable guitars is. You will see many proponents of the “all guitars sound the same” theory and you might feel inclined to agree with them. I used to agree with them too because I had a hard time imagining that different types of body or nut material might produce a different sound. I only realized how wrong I was after I had the chance to compare the two types of instruments myself. I had spent the day at a musical instrument shop “helping” a friend of mine pick out a new drumset. By helping I mean letting him talk to the assistant while I walked around the acoustic guitars section and tried every single instruments my hands could reach. Don’t judge me, he had been looking for a new drumset for months and I couldn’t take any more of him blabbering on about how specifically he wanted it, so yes I ran away to a better place. 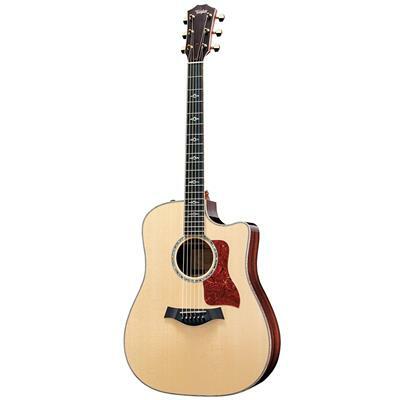 I first tried a bunch of guitars on the affordable side, in the range of 500-800. These were extremely nice guitars, all of them sounded really good, something I would expect out of a guitar. Then, I saw, hanging on the wall, a guitar that was worth about 2000. Curious, I got my hands on it and played. The thing is I had grown accustomed to good sound, but this was something else. It had a deeper bass response than what I was used to, more emphasized high tones than what I had expected. It was overall warmer, more comfortable. It felt like for the first time in my life I actually sounded as good as I thought I always did. This was thanks to the guitar made of higher quality materials. I covered a little information about the types of materials used for the body of an acoustic guitar and their effects in an earlier article, when talking about beginner guitars. The thing is, these are not beginner guitars, and there is a large difference between laminated and natural materials. Laminated materials often used in affordable acoustic guitars sacrifices some resonance to tones for the sake of cheaper materials that could potentially last longer, unchanged. The sound remains crisp, but the effect of the laminated material is limited, taking away the uniqueness of the instrument’s sound. Natural, non laminated materials that are used in higher end guitars such as the ones above are different. These guitars usually use high end materials with superior resonance, such as Engelmann Spruce or a any number of other, rarer materials. This results in a deep bass response and precise high tones that resist the extra sustain of the strings when the guitar is played faster. These non laminated woods also tend to age over time, further enhancing the sound of the guitar. While a brand new Engleman Spruce guitar might sound crisp and exceptional and aged one will have grown into its sound, becoming more “full bodied”. This brings a guitar into the same realm as that of aged wines – when cared for and aged properly, a guitar only becomes better as it becomes older. Every instrumentalist finds that the best guitar, or any other instrument, is the one they love playing. A whole lot of things other than the specs go into enjoying what you play. The history of the instrument or how it fits into your hands or how you feel holding it are much more important for the “best guitar” you will own than what material it is made of. It might be true that the best acoustic guitars priced just under 2000 are superior in many ways to the best acoustic guitars that are priced just under 500, but one thing is omitted when considering such superiority. The first acoustic guitar I ever bought was not worth much more than 300. That was too long ago to talk about out loud, but ever since then I have bought other guitars. Some of them have been just under 500 and some of them have been way more than that. The thing is my first acoustic guitar still remains as my favorite acoustic guitar. It is best guitar I ever owned, hands down. That is not because it sounds the best or because it is the most comfortable to play, but because it now has character. It is infused with memories of hours spent practicing with or without my friends. Every time I pick it up and play it, I can’t help but remember that one time when I was playing in the underground and some drunk guy started dancing to my music. It has all the ugly stickers and all my teenage angst compounded into so much love and hate that this guitar took. Years of abuse and years of attempting to preserve its character, originality and form, because at some point it was about to fall apart. This isn’t to say that it beats the best acoustic guitar under 2000 in sound. In fact it is much inferior. What I am trying to say is that it beats them in character, because these guitars, until you’ve played them are plain blank. A guitar on this list might end up being your favorite, or it might not, it is entirely up to you. The thing is you have to play it to make it the best.